These are not sun-dried tomatoes. They’re better, because fresh plum tomatoes are still moist after roasting, with a bit of that magic tomato liquid in every cup! A great, simple platter to offer at parties. Pre-heat the oven to 250. Line a baking sheet with foil and rub it lightly with olive oil. 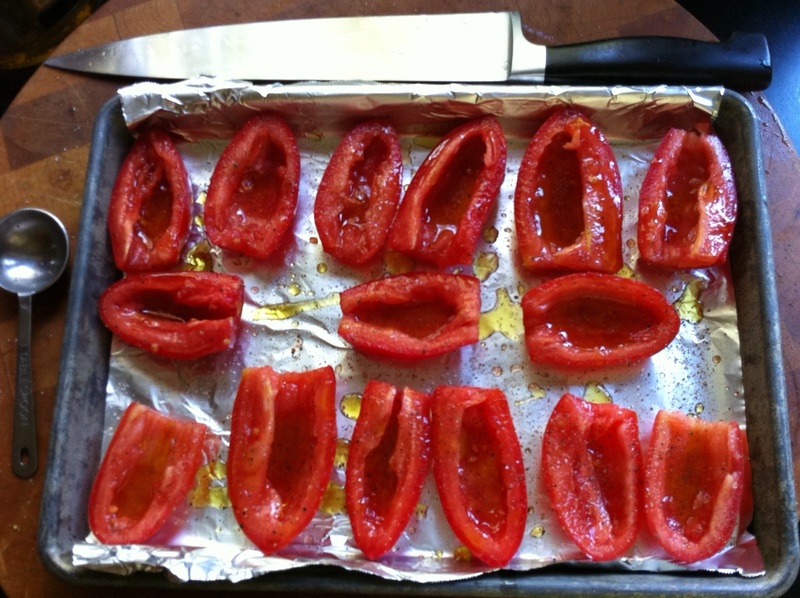 Arrange halved and seeded tomatoes on it in a single layer, cut side up. 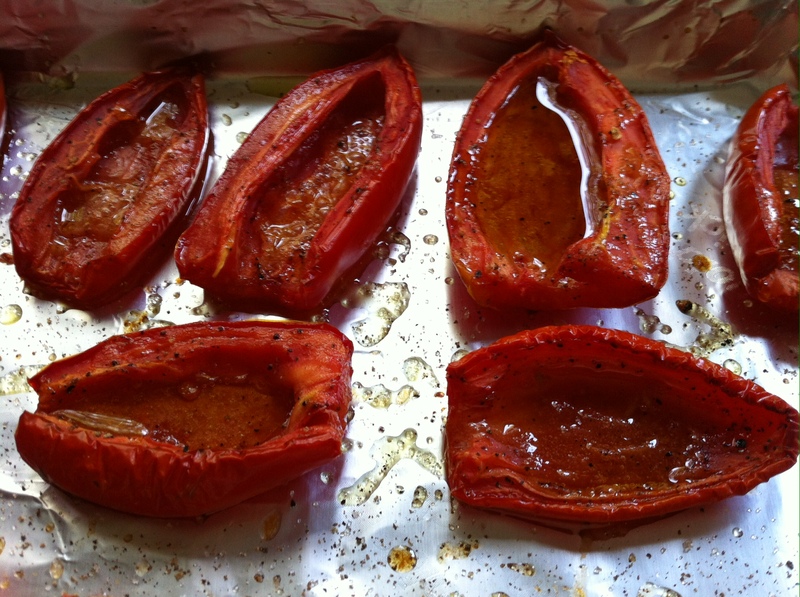 Drizzle evenly with 1/4 cup olive oil, sprinkle with 2 tablespoons sugar, and season with pepper to taste. Bake the tomatoes until they are still juicy but slightly wrinkled, about 3 hours. Transfer to a platter and let cool slightly. Just before serving, sprinkle tomatoes with Fleur de Sel, and garnish if you like, with chopped parsley leaves, mint leaves, or basil. I love that they maintain some of their freshness but still have that great roasted flavor. This is great for all of those fresh summer salads (my husband doesn’t like raw tomatoes)! And that little cup of liquid is like nectar!! Thanks for reading! WHY MAKE CRAB CAKES WHEN YOU HAVE LOBSTER?